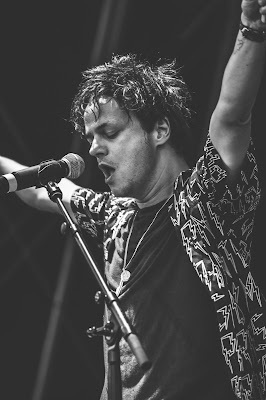 Sunday 9th July - After what had been a pretty impressive day for British sport I couldn't think of a better way to end it with some live music and of course the impressive British talent of Jamie Cullum. With the weather not really making its mind up over the past few weeks it was nice to have an evening where the weatherman got it spot on. The weather was perfect for this outdoor music event. However when the sun does start to go down, it does become a little difficult to see the stage especially if you are nearer the back. However not too much complaining about the sun being out, it doesn't happen often. Jamie Cullum came took to the stage, the crowd was in great spirits and clearly everyone excited to watch the musical genius at work. Even the Euro Football finals were on and the master Stevie Wonder was performing in Hyde Park, the turn out to the event was still incredibly high. 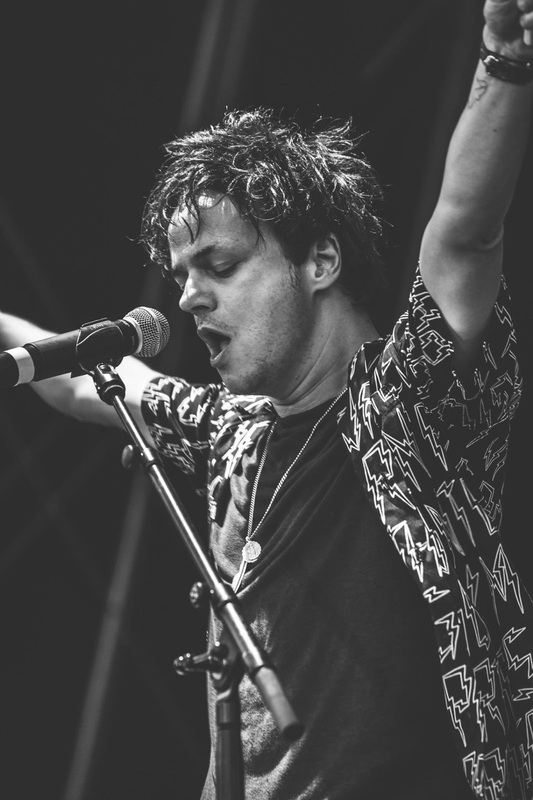 Jamie Cullum has that electrifying stage presence when performing live. Very energetic performance, with a lot of movement, jumps off the piano. It is very engaging when watching. His band also as equally as talented as him on their chosen instruments. I will always believe that if you want to hear music and hear music properly you have to see it live. What is pretty powerful now however, is that you can stream music live on Facebook, giving your audience (who might not have been able to make it) a chance to watch their favourite artists perform, which is what Cullum chose to do streaming from his Facebook page. Of course not like being there but a nice touch. Jamie Cullum went through a range of his many songs including 'Twenty Something', 'Mixtape', 'All at Sea'. There is something about watching Cullum perform live, it is almost effortless and with his comfortability on the stage it puts you at ease straight away. You can't plan everything to be perfect, but one gentleman in the crowd got top marks for trying. During the performance, Cullum pulled a guy on stage and to everyone surprise it was for him to propose to his then girlfriend. Once the lady found her way to the stage, the man proposed while Cullum sang one of his most beautiful songs 'What a Difference a Day Makes' of course the lady said YES. A nice round up for the evening's entertainment. Finishing on a sombre but beautiful note, Cullum finished with 'Gran Tornio'. Making it a perfect end to a perfect day and to a perfect festival.